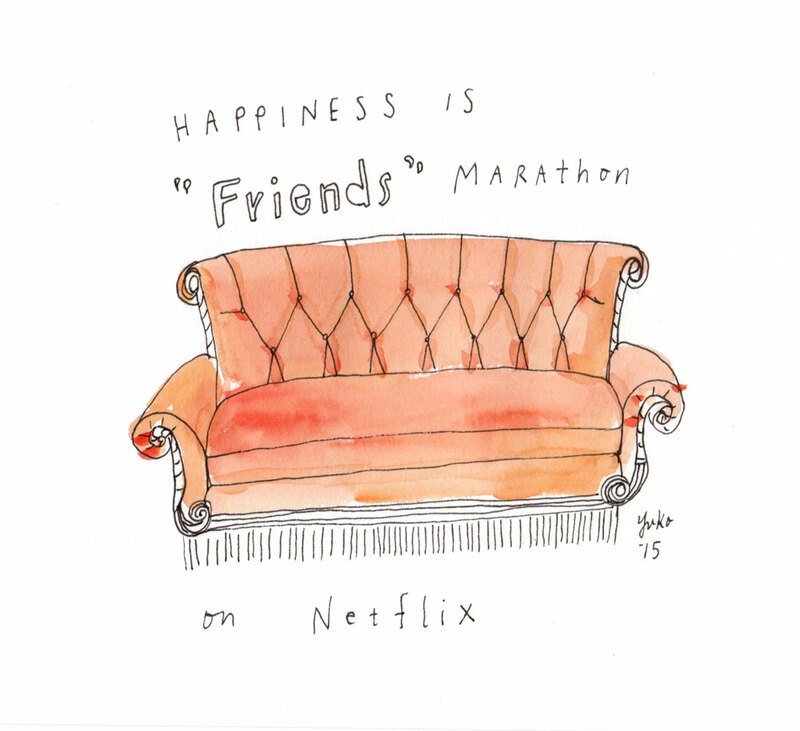 Day 325: Happiness is “Friends” marathon on Netflix. Happiness is “Friends” marathon on Netflix. Sadly, I got sick…but good ol’ “Friends” kept me company 🙂 Ah, the 90s!